I actually can't take credit for these brownies. My co-worker and friend, Jamie (who you've all read about before! ), gave me a great cookbook for Christmas. It's called The Cookie Bible and though it is mostly awesome cookie recipes, it has some brownies and bars in it as well. 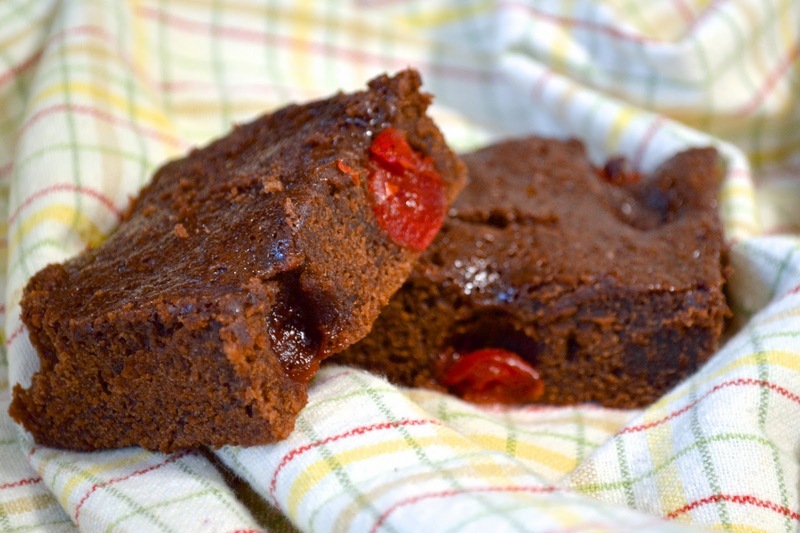 I spotted this super easy brownie recipe and knew I'd have to make it for the holiday season. I ended up bringing them to my parents' house on Christmas Day. We always order piles and piles of Italian cookies from our favorite Italian bakery but we also needed something to put candles in to sing Happy Birthday to Cody and my grandmother. Yep, there two Christmas babies in my family! I knew these brownies would be two things: easy and delicious. It's really just a brownie mix kicked up a notch with maraschino cherries and some yogurt. How can it get easier than that?? I always find recipes that call for yogurt interesting. One thing that irks me about it, though, is when it calls for a small amount (for instance, 8 ounces) of PLAIN yogurt. I don't know about the stores in your area, but near me, the only plain yogurt available come in huge tubs. All the small 8 ounce cups are flavored. The most plain one I can ever find is vanilla. Well, vanilla is plain to me but it's not literally plain. I'd buy the huge tub of plain yogurt but when I only need 8 ounces for the recipe, what the heck would I do with the rest? It'd just go to waste in my house. My solution? I usually rebel and buy a flavored yogurt that fits the recipe. F the rules! In this case, I gambled and bought a wild cherry yogurt. Typically, yogurt is added to help with texture and doesn't really do much for flavor so I took a risk. 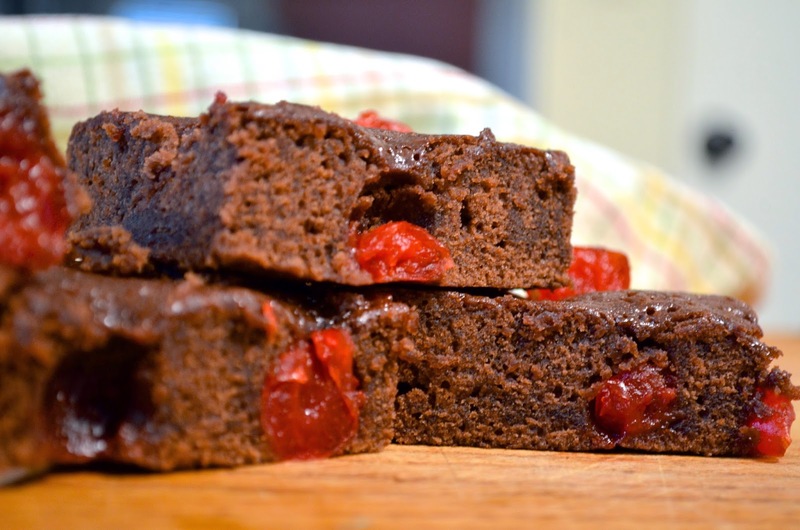 The brownies have maraschino cherries in them, how could adding more cherry be bad? I was so glad I decided to think outside the box in the end! 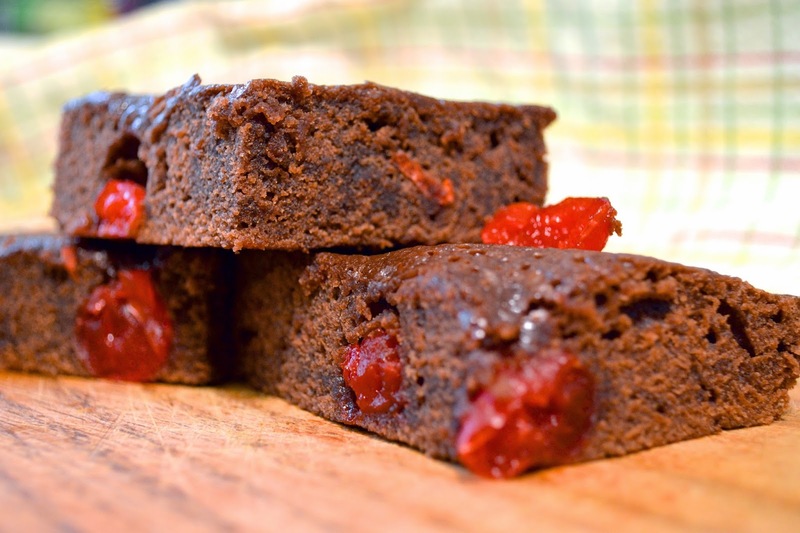 Ooey, gooey, fudgy, and with a kick of cherry flavor, these brownies were such a good fit for Christmas Day dessert. With a scoop of vanilla ice cream on top, it was heavenly! What is it about Christmas that makes you want to dive into anything chocolatey and rich? For me, it gets even MORE Christmasy if it's chocolate and raspberry or, in this case, chocolate and cherry! It's so funny how that happens. 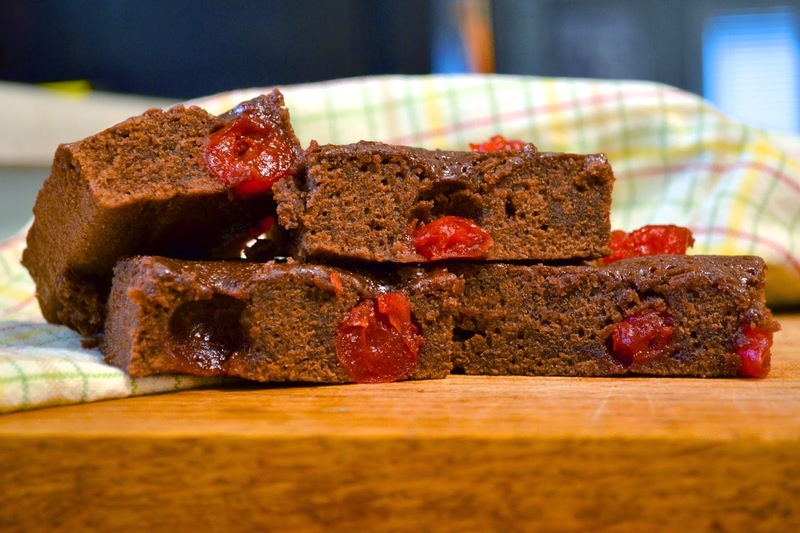 The fudginess of these brownies combined with that burst of cherry flavor kind of reminded me of those cherry cordial candies you always see at Christmas parties. I remember eating so many as a little kid, causing a sugar overload followed by a stomachache. How did those become the standard Christmas treat? I have the feeling it's a mystery to all - a delicious mystery! I hope you all had a fantastic Chanukah, Christmas, Kwanzaa - whatever you celebrate! Here's to the happy, healthy, and (hopefully) lucky New Year! 2. Prepare brownie mix according to package directions, adding the yogurt with liquid ingredients. 4. Spoon batter into greased and floured 13x9 (or line your pan with tin foil). Make sure cherries are evenly distributed. *Now, the recipe says the brownies "are moist and cannot be tested with wooden pick." I still don't know if that means "you're gonna think they're not done, but you're wrong. They're gonna look under-cooked no matter what you do but ignore that gut feeling and take them out anyway" or if it just means avoid wooden toothpicks and use something made of a different material. I used a butter knife to be safe and was able to test it no problem.